Aristotle´s Nichomachean Ethics: “Three Types of Friendship” (Based on Utility, Pleasure and Goodness).- – poetry, photos and musings oh my! What does our chosen mode of friendship say about us? 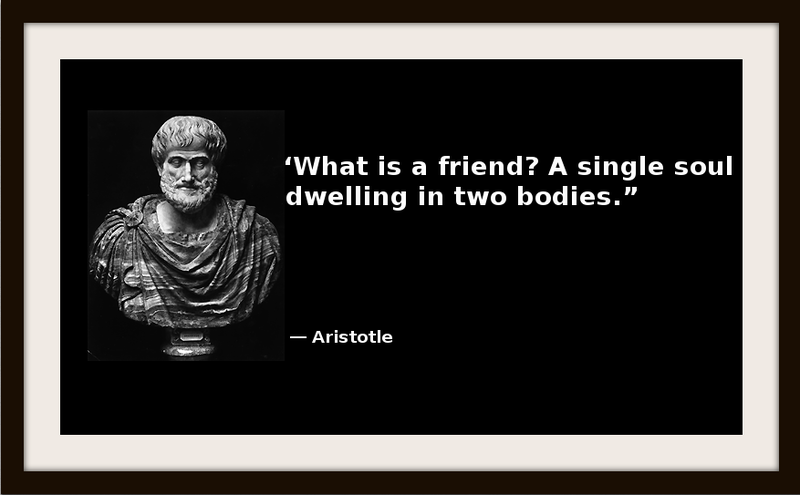 In Book VIII of “The Nichomachean Ethics”, Aristotle makes reference to three kinds of friendship. 1) The first is friendship based on utility, where both people derive some benefit from each other.